Earlier this year at the MAIR orientation, we were happy to host a few excellent alumni of the program to talk about their journey in the international affairs arena. While there, one of the alumni, Mr. Omar Qudrat (JD/PD 2010) spoke about one of the truisms of the program. Namely that in most organizations, both in Washington and worldwide, there are either Maxwell alumni or Syracuse alumni. Thus, I thought I would share two interesting stories for an early Fall Friday. The second is in relation to the photograph above. 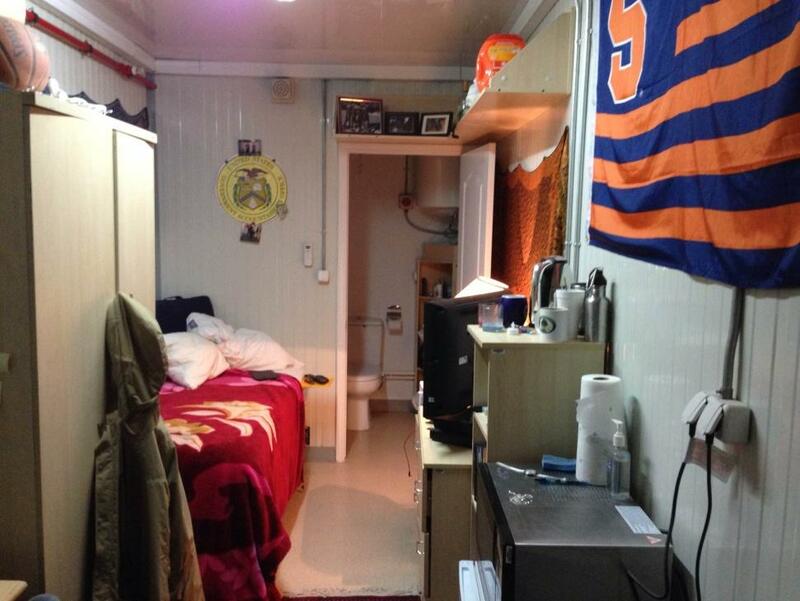 The picture there is from a Containerized Housing Unit (CHU) on the ground of the U.S. Embassy in Kabul, Afghanistan. 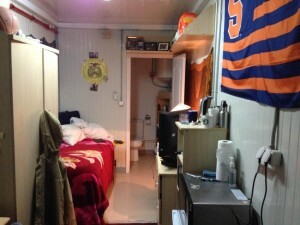 The unit was the temporary home of a Government Accounting Office employee who in addition to working as an Acquisition and Sourcing Management analyst, is also a proud alum of Maxwell and the Syracuse University College of Law. The second comes to us from northeastern Sri Lanka, where two MAIR alumni were working on USAID’s efforts to reconstruct parts of the country after more than 25 years of brutal civil war. So [there we were], bouncing around on a dusty road in the northern province in Sri Lanka, actually learned that we graduated from the same place. That we knew and tested the patience of the same administrator. We ended up on that dusty road because our jobs converged there. I am working as a Regional Adviser for USAID’s Office of Foreign Disaster Assistance and have several programs going on there helping those displaced by the war restart their lives. [He[ works at the USAID Mission in Sri Lanka and has been a cornerstone of the Mission’s efforts to assist these vulnerable people in the best way the US Govt can. It was just one of those funny stories, where halfway around the world you meet up with somebody that shows you just how small the world is. Previous PostWir bauen eine neue Bruecke!Next PostWhat is Public Diplomacy?